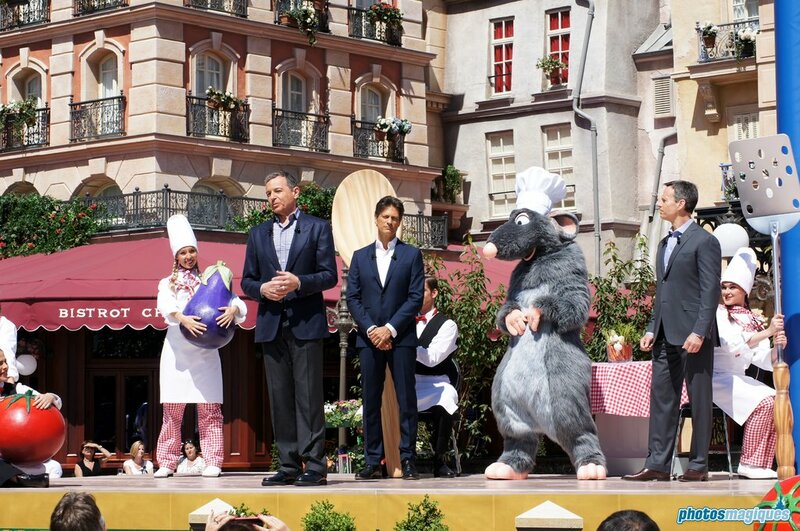 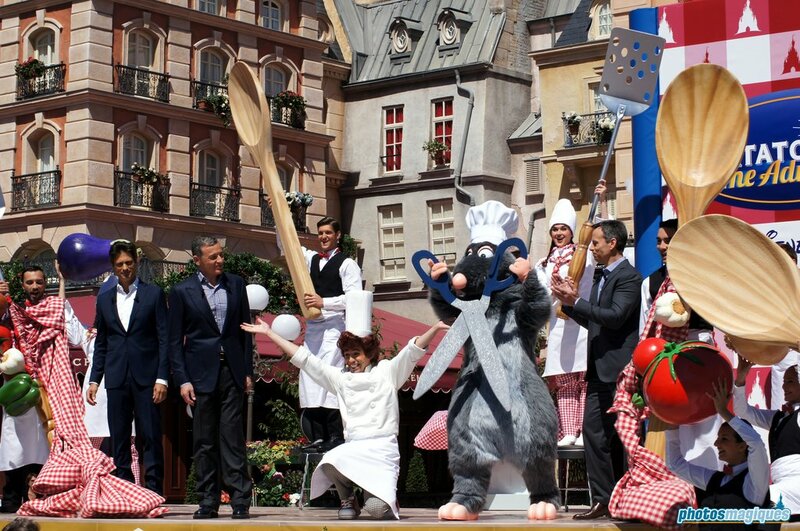 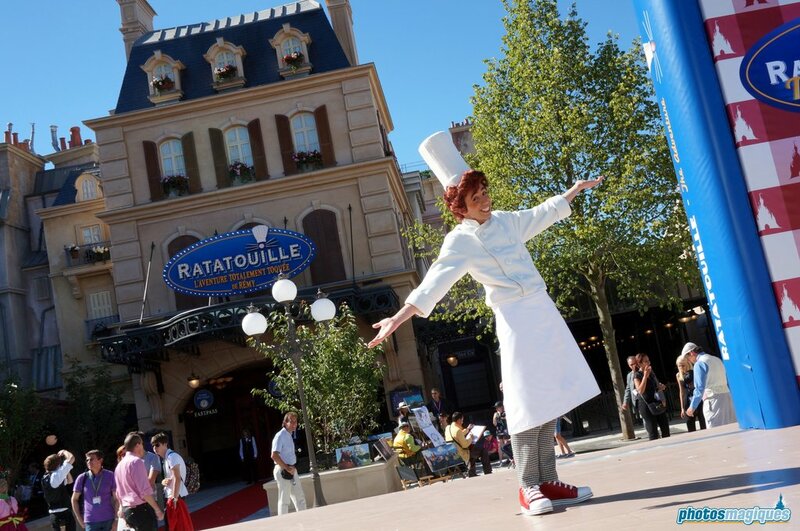 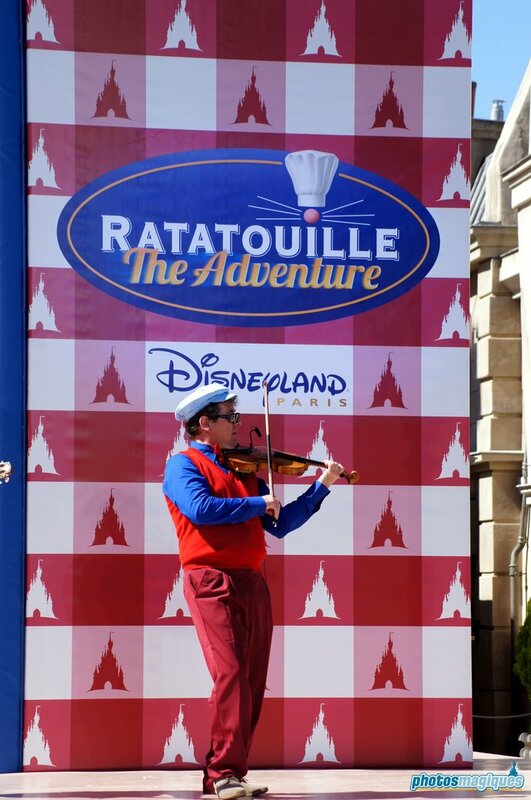 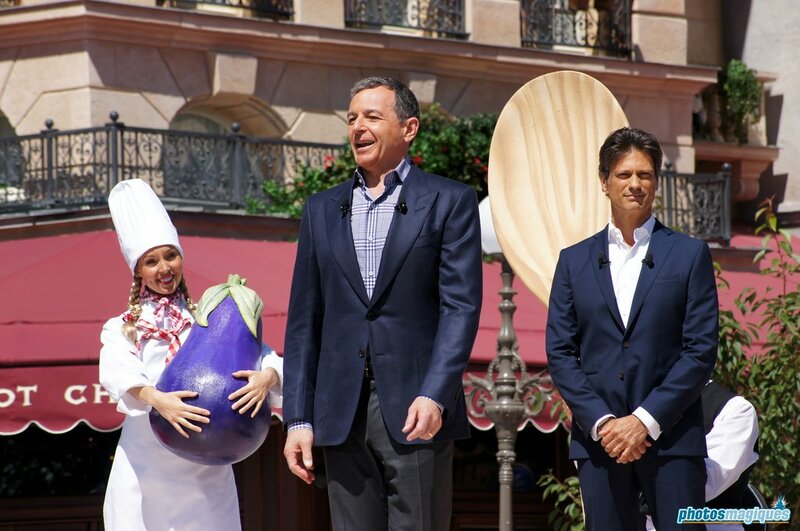 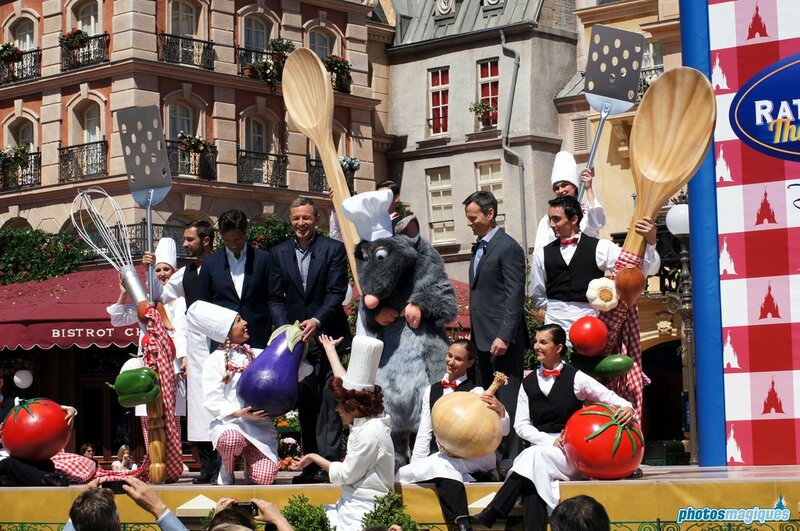 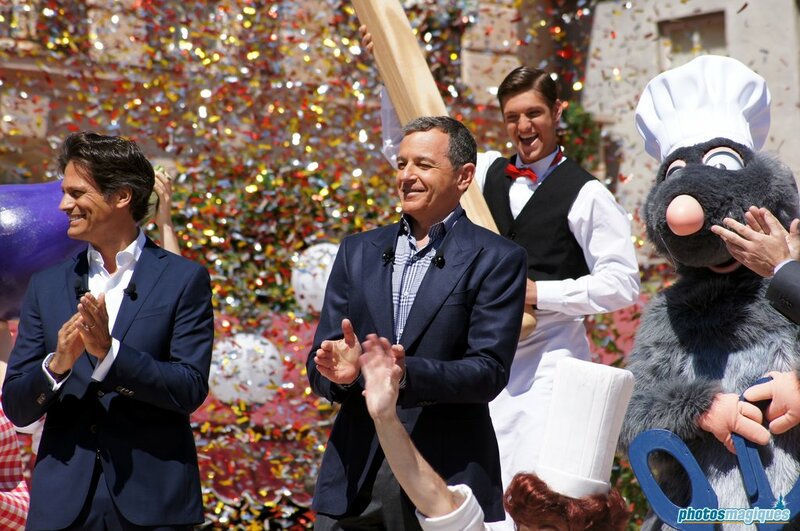 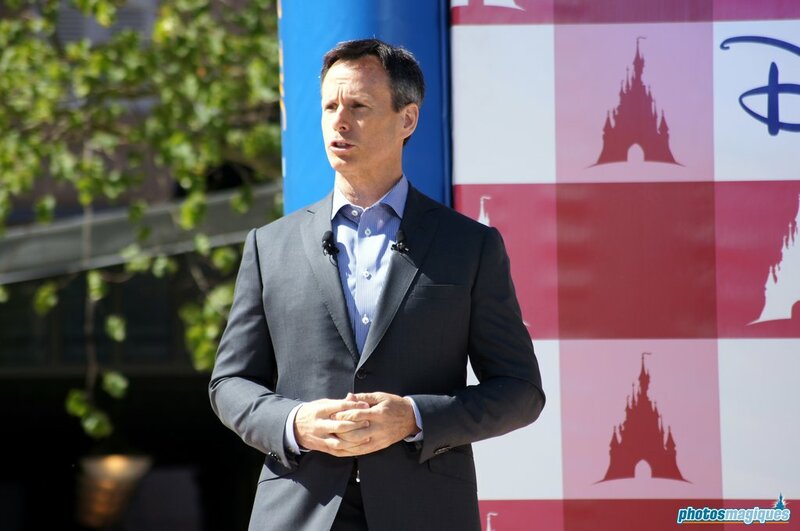 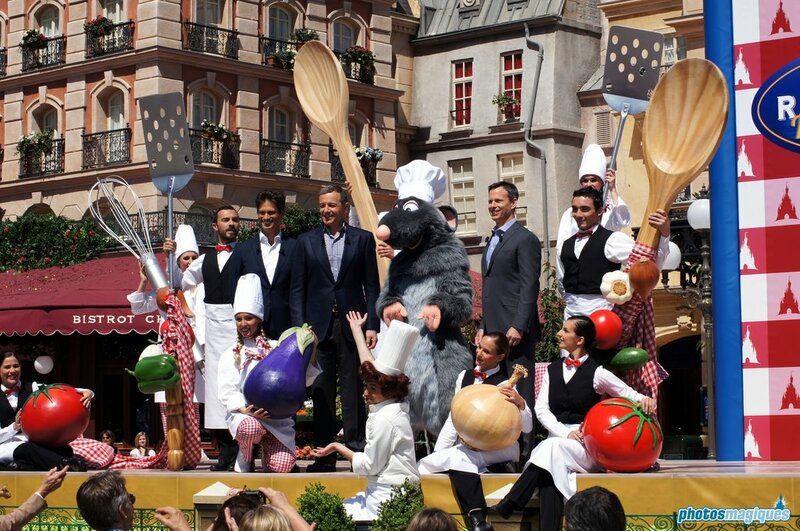 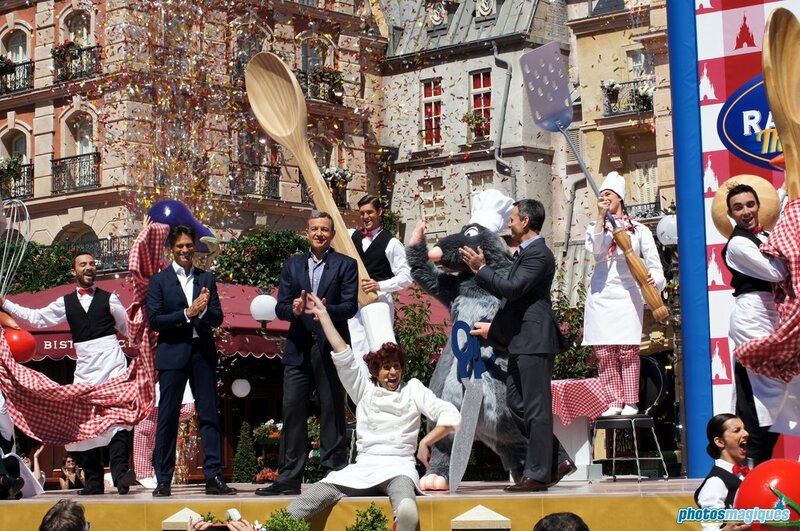 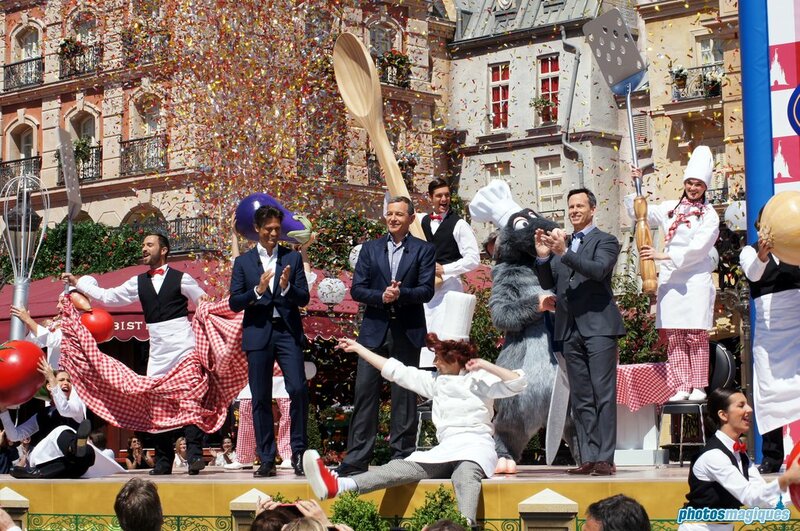 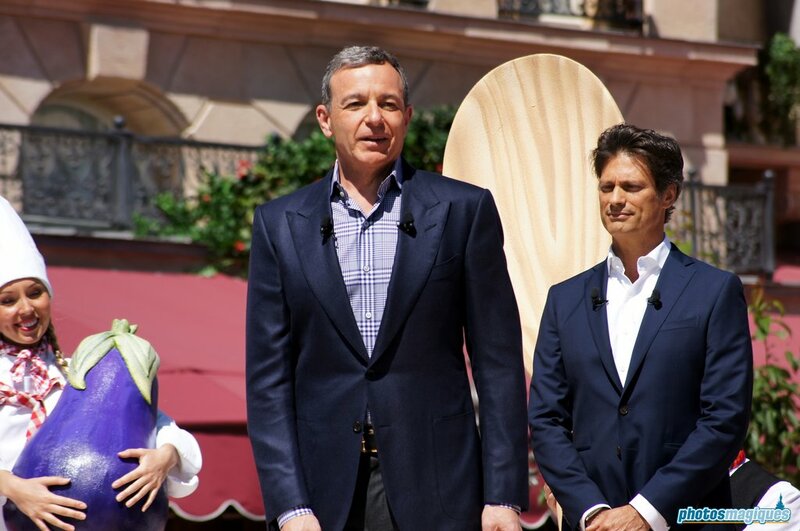 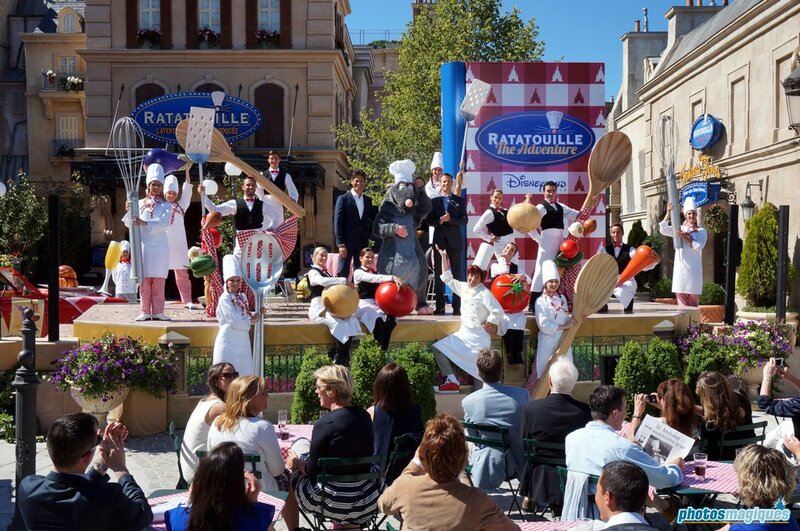 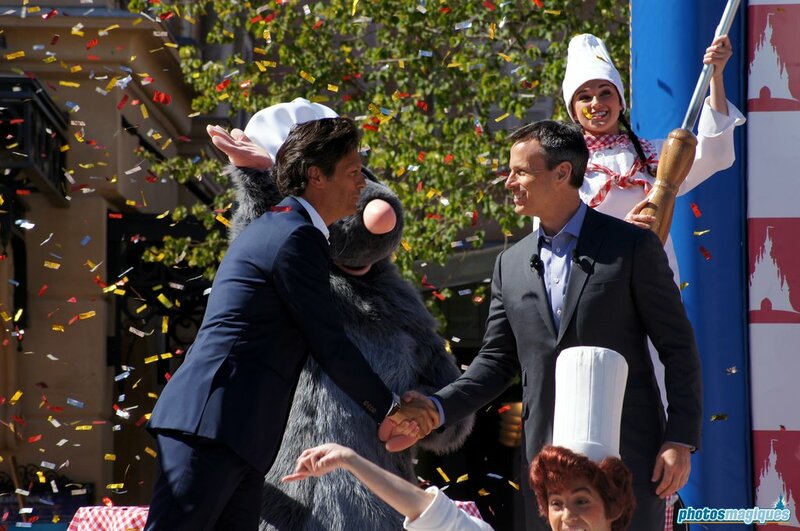 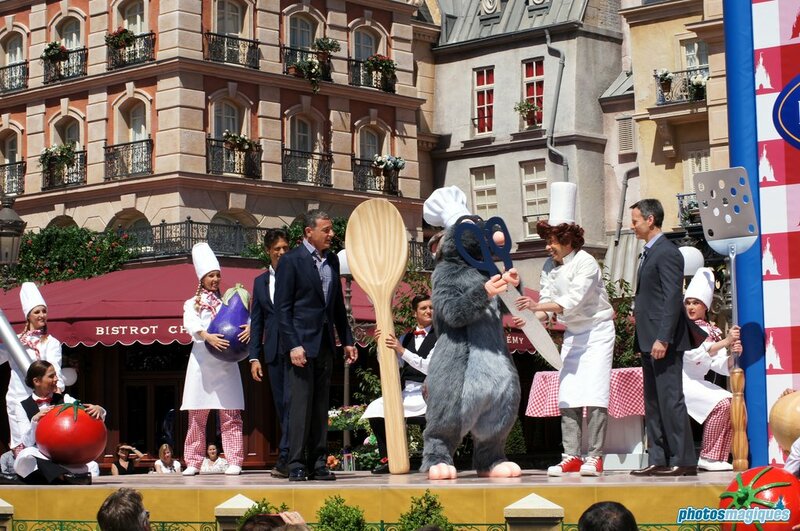 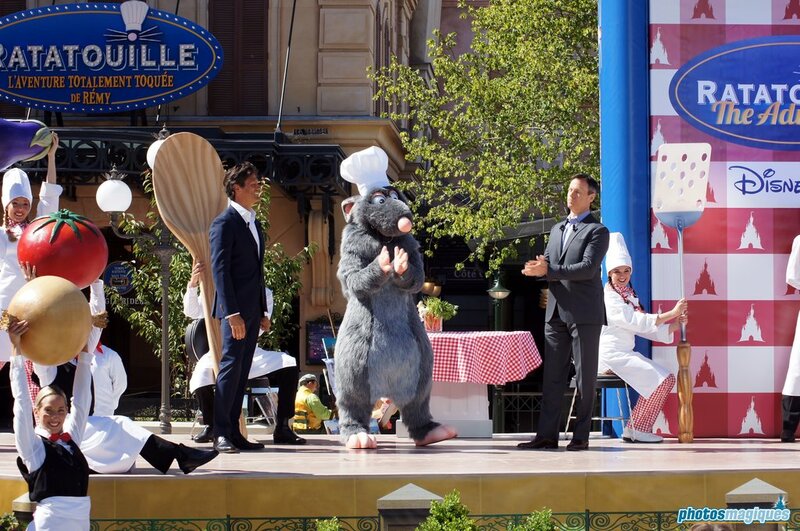 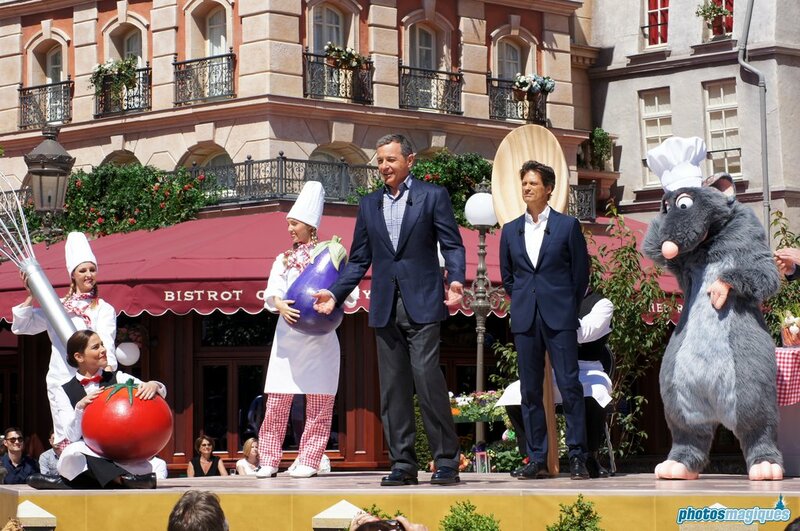 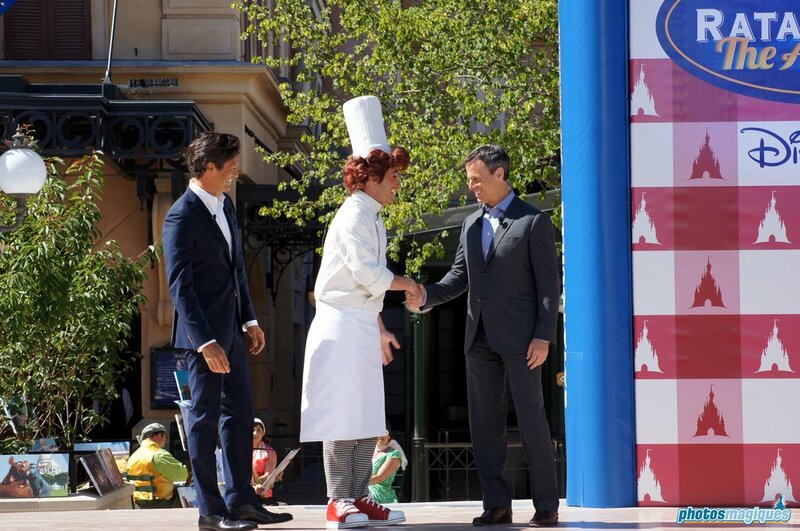 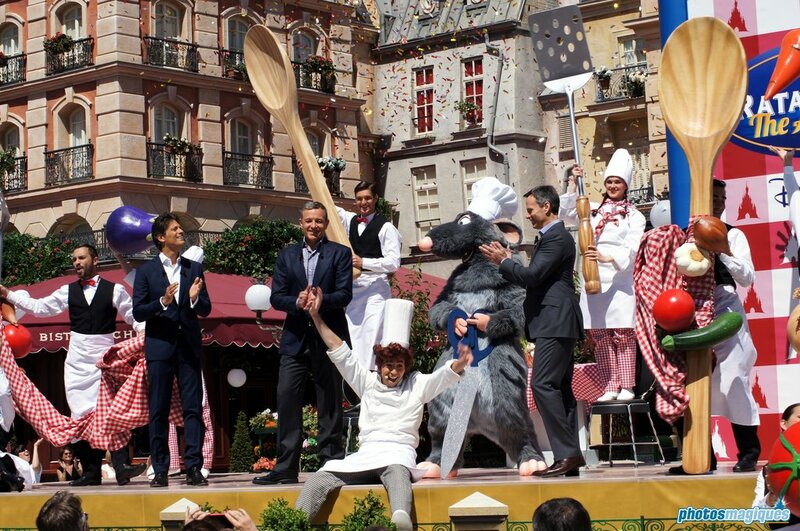 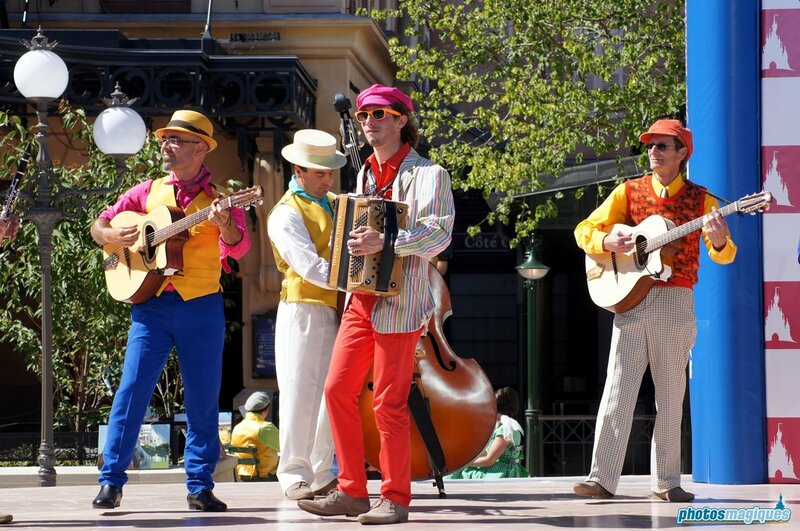 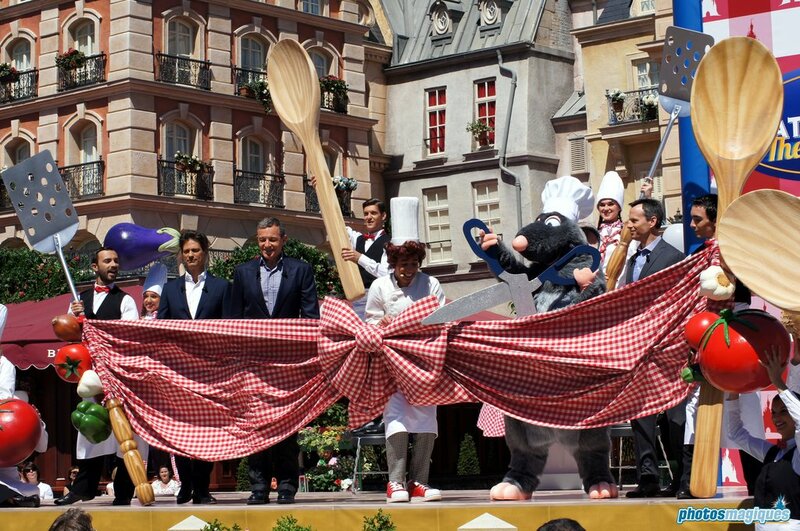 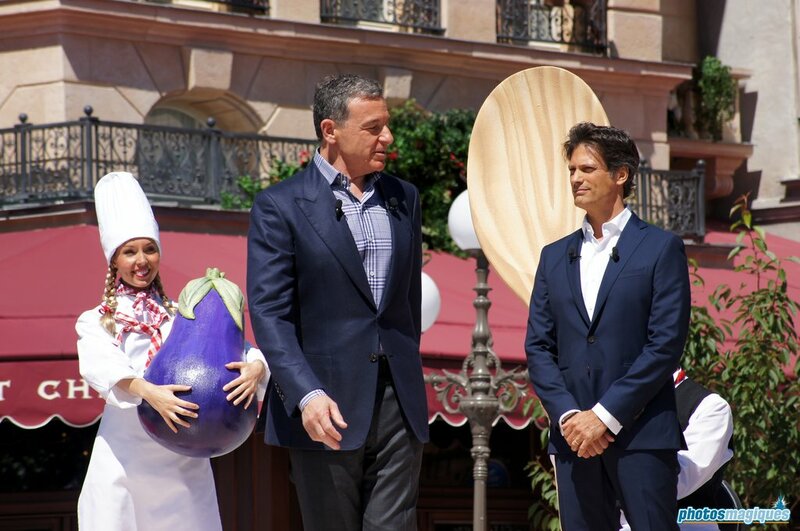 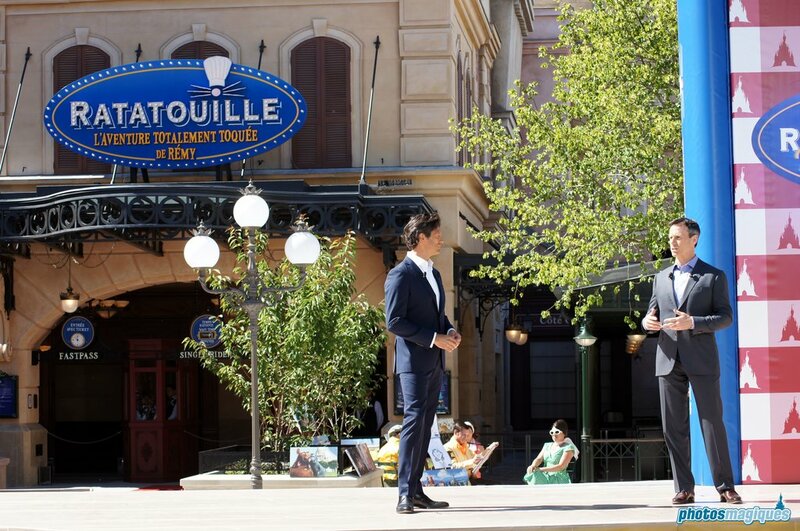 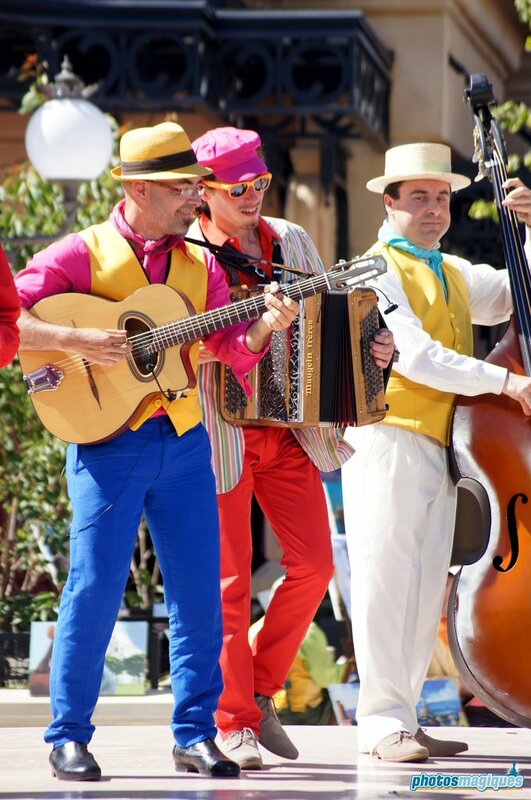 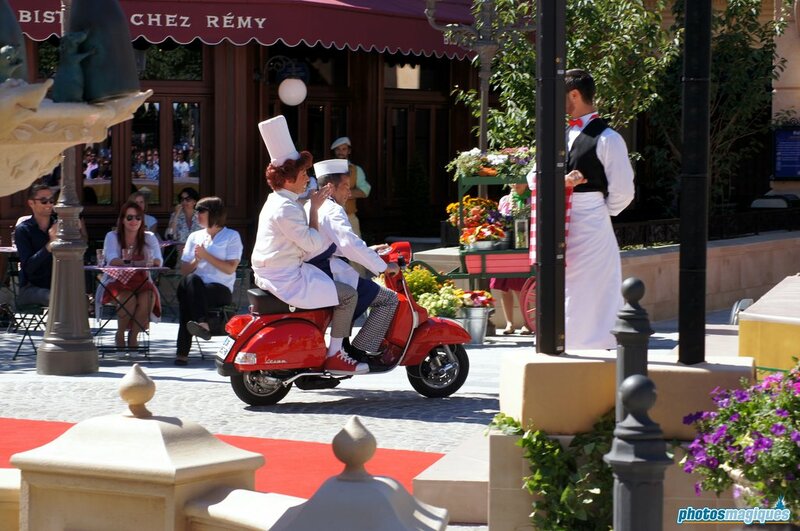 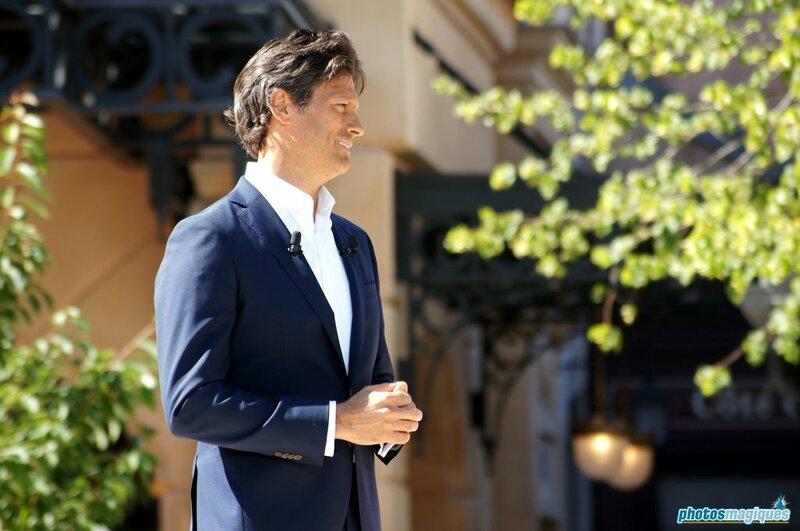 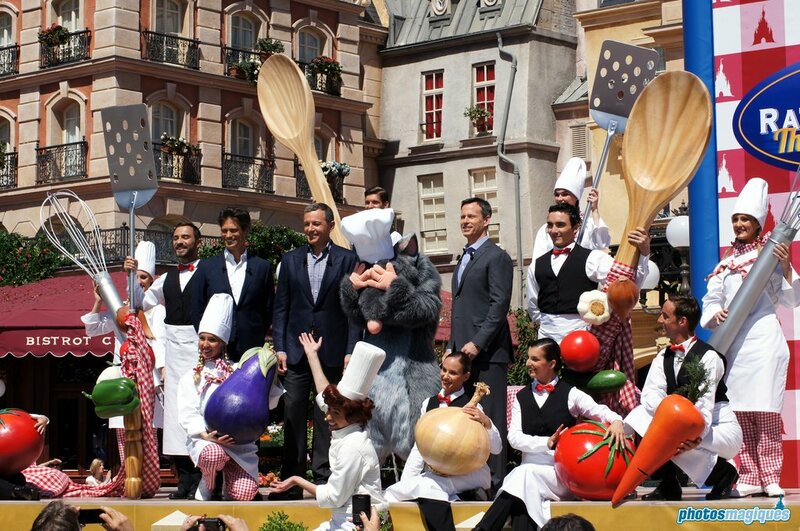 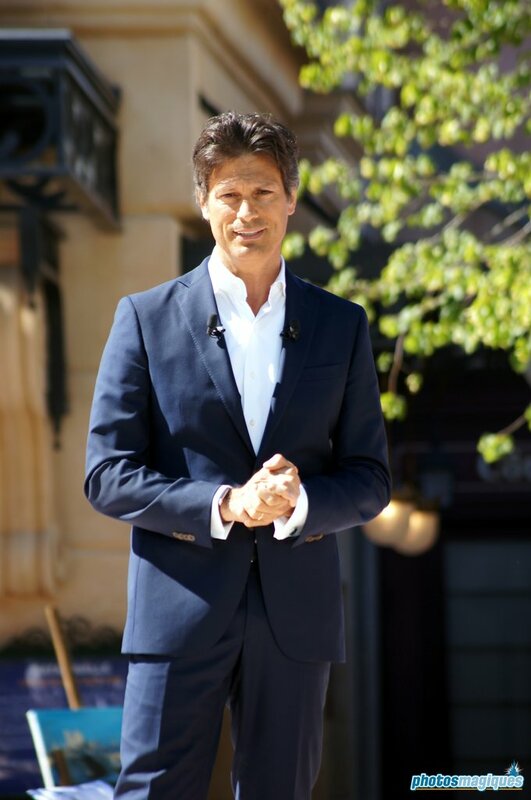 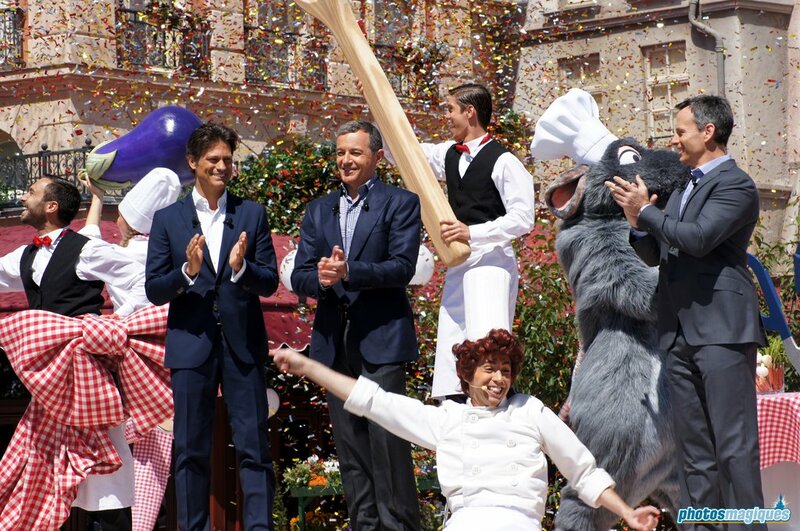 La Place de Rémy was officially dedicated on 21 June 2014 in the presence of Tom Staggs – Chairman of Walt Disney Parks and Resorts, Philippe Gas – Chief Executive Officer of Euro Disney SAS and Bob Iger, Chairman and Chief Executive Officer of The Walt Disney Company, as well as the stars of the Ratatouille movie: Rémy and Linguini. 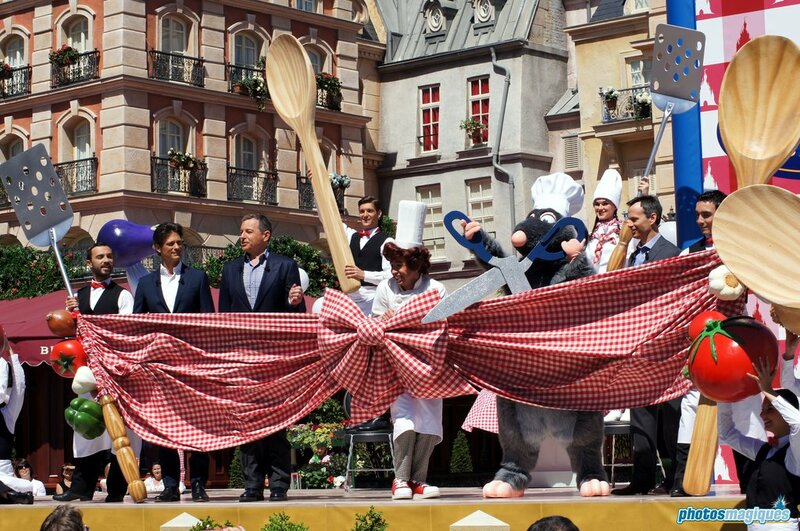 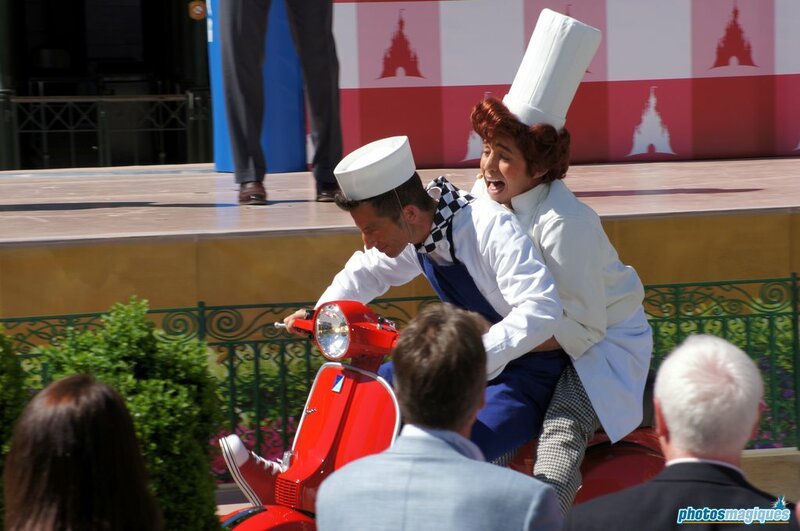 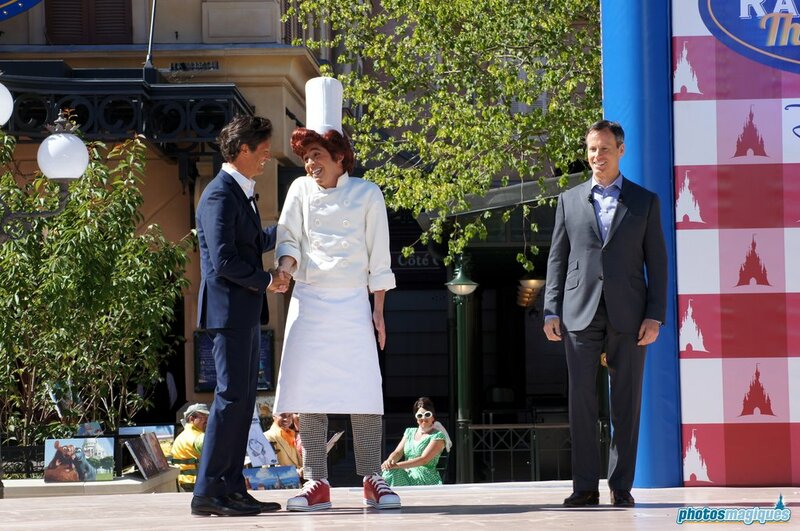 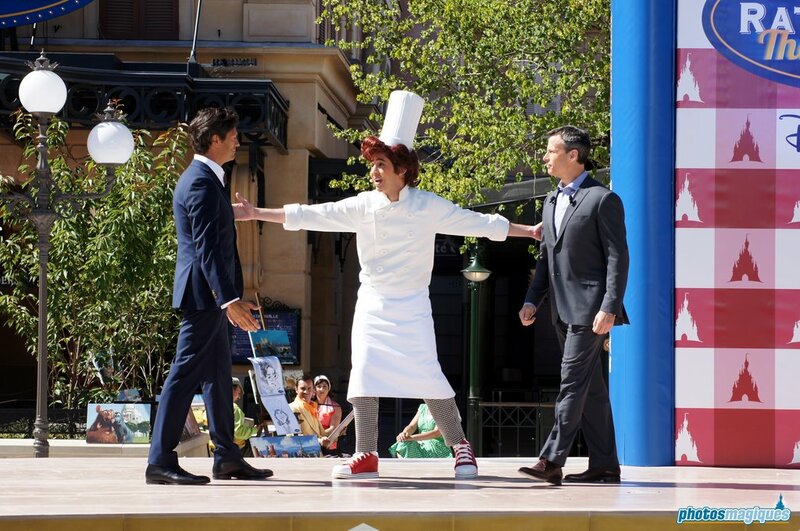 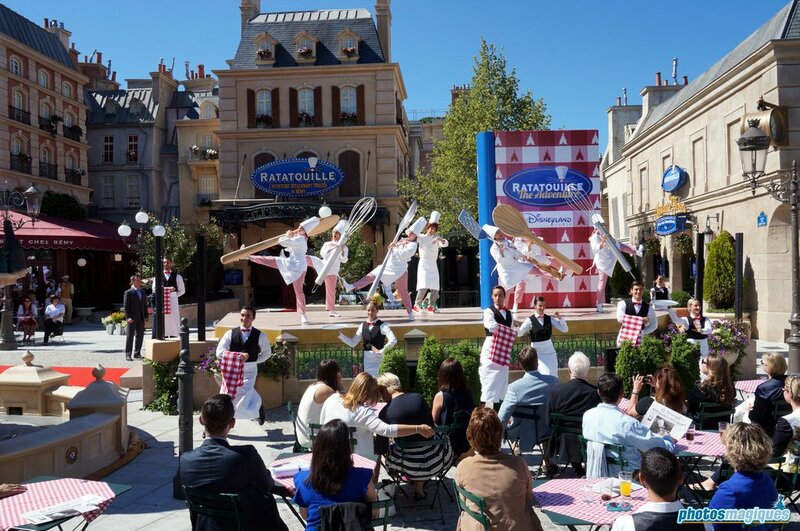 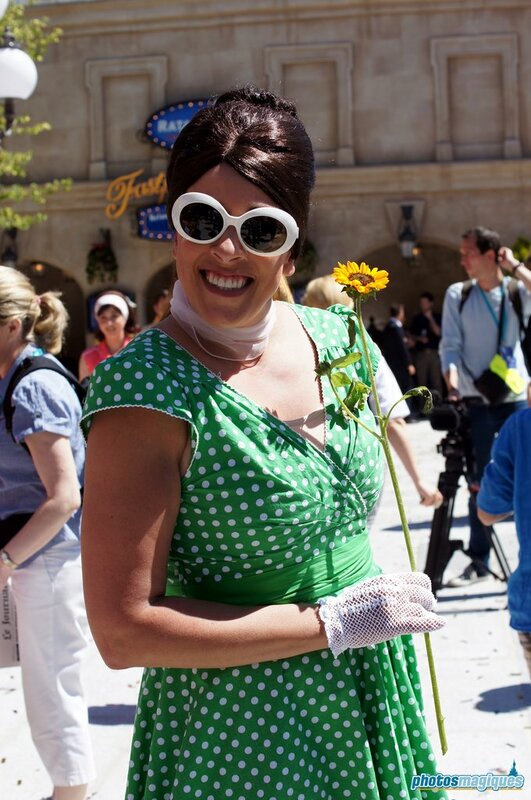 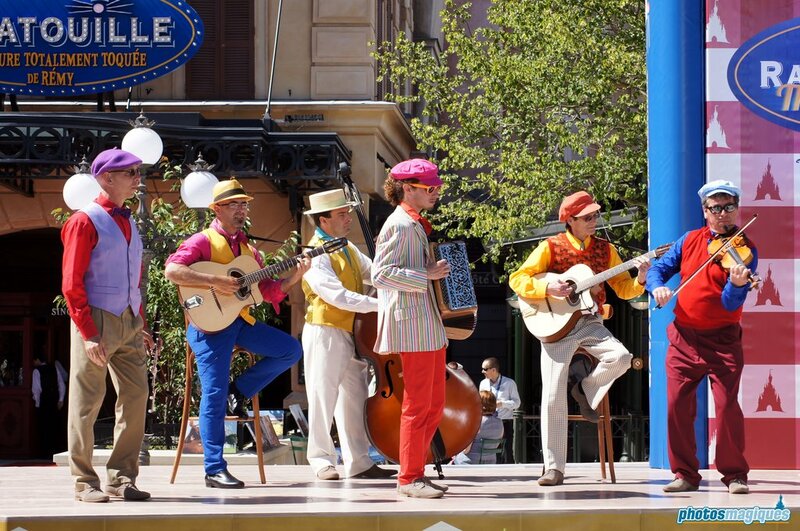 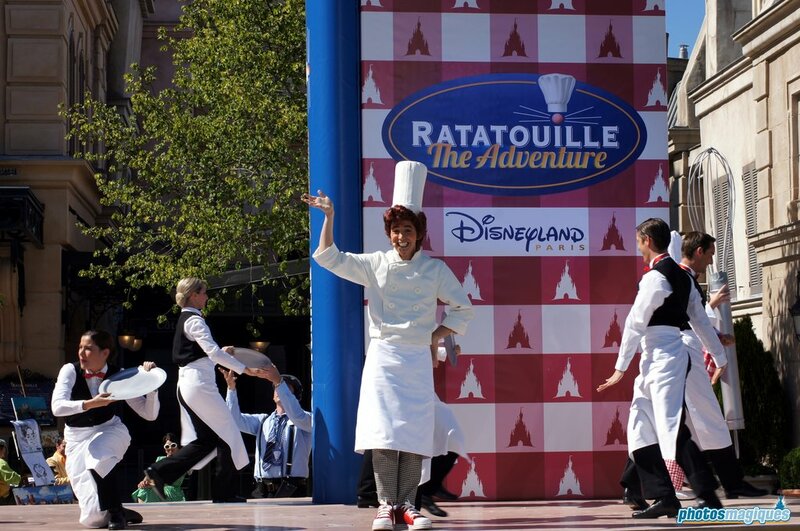 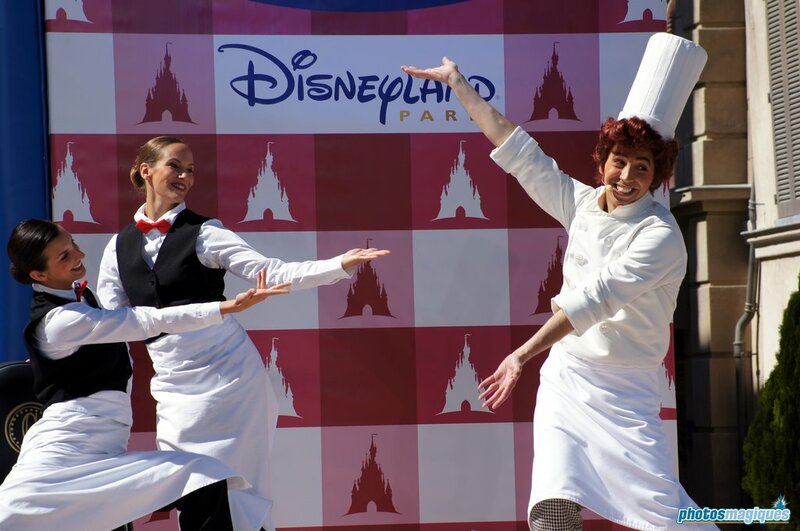 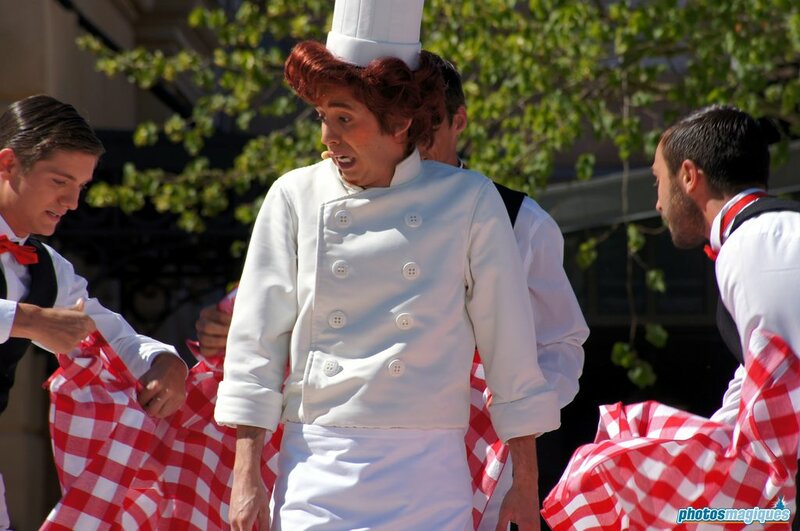 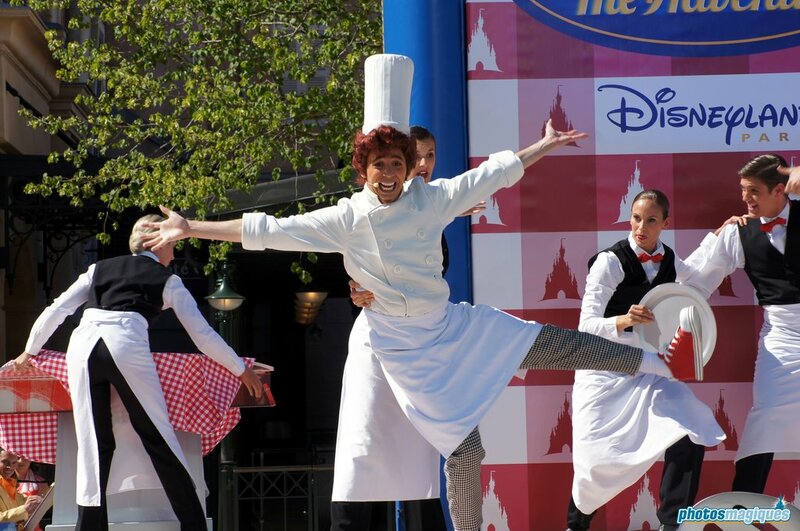 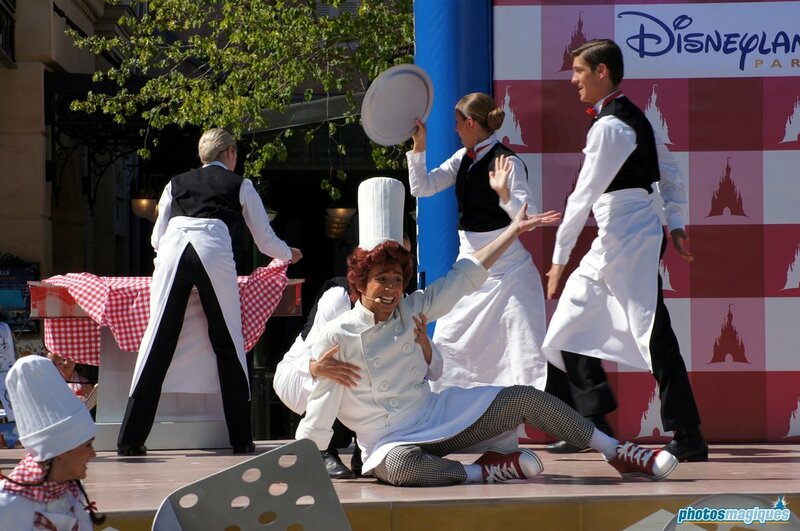 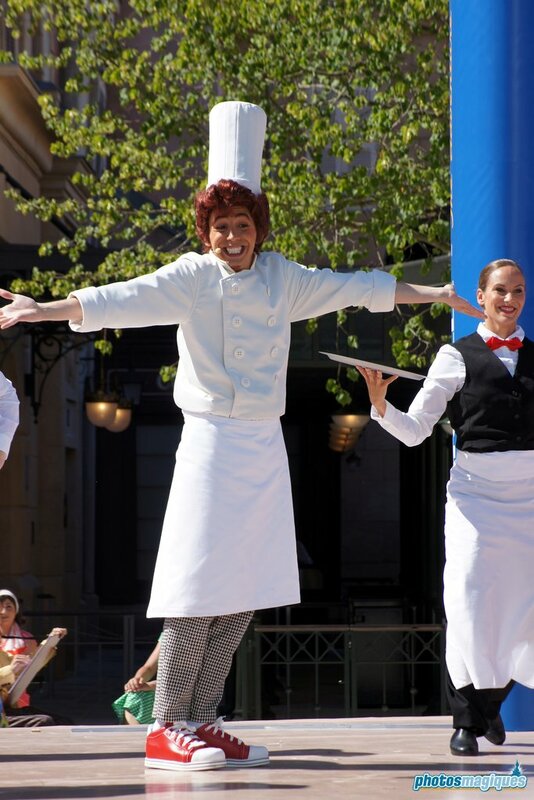 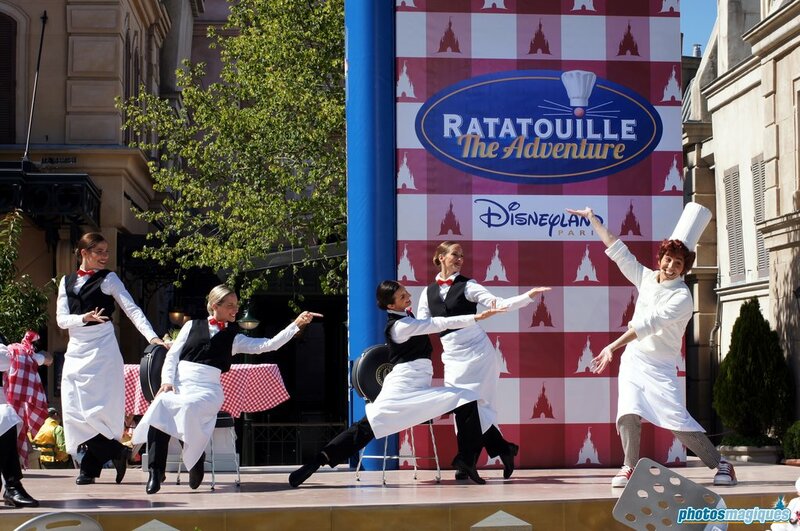 A stage was placed on the plaza and featured a large cookbook and oversized props. 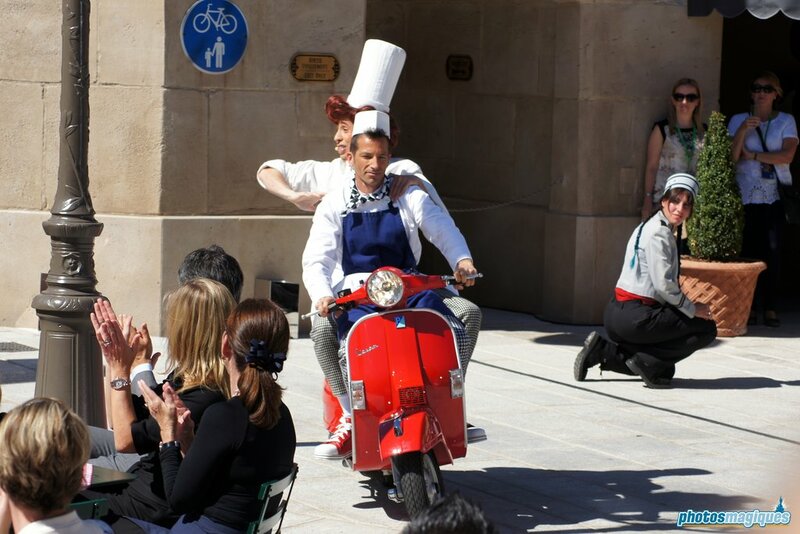 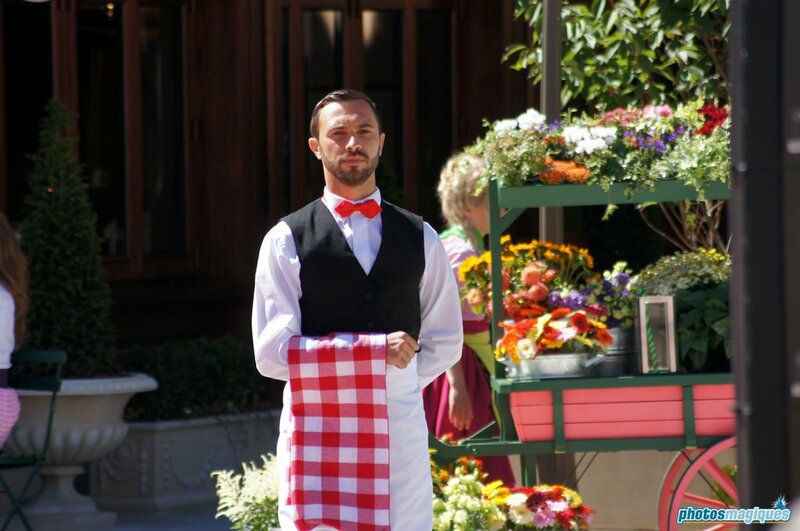 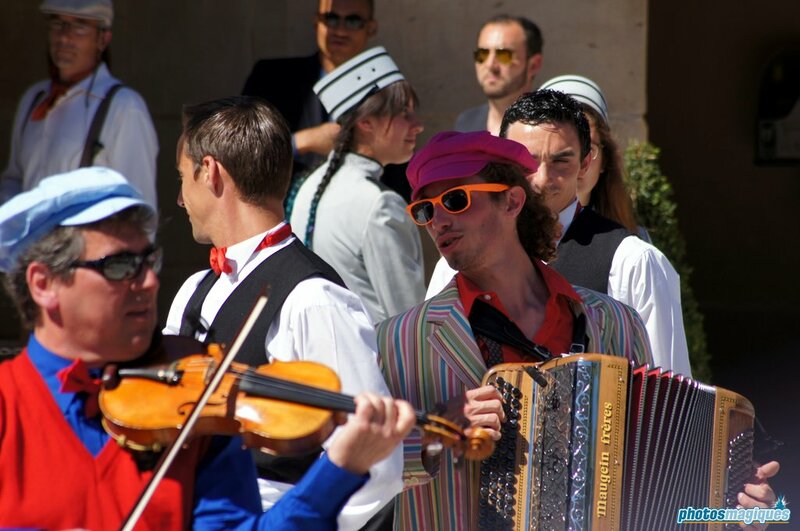 Bistrot-style tables and chairs, flower vending carts, mime players created an additional atmosphere for this special occasion.